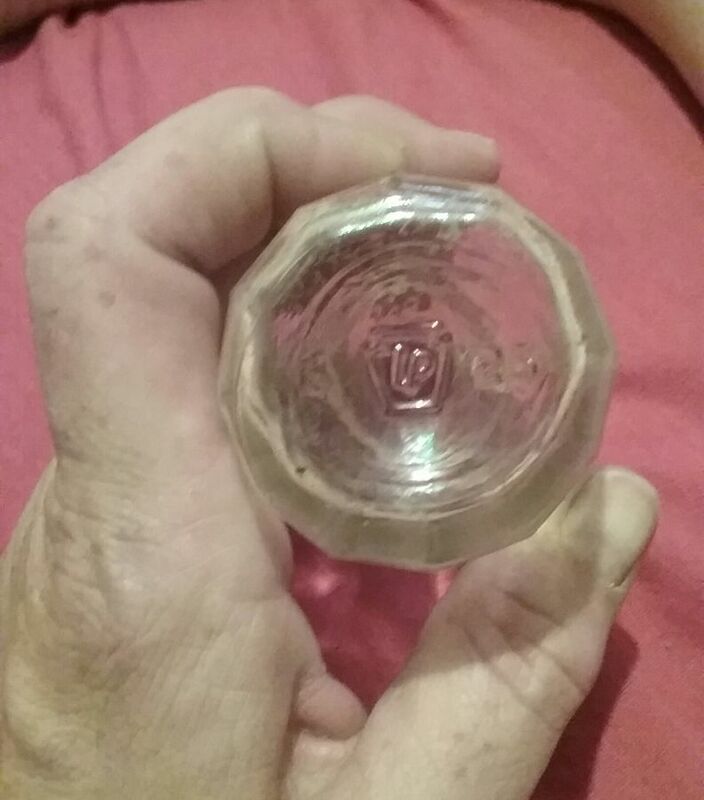 My 9 year old son found this bottle burried on our family farm in Kentucky. He hopes it's a treasure, his words. I can tell it has a 6 and 25 on each side of the emblem on the bottom but can not figure out what the emblem is. It looks to be possibly a jp or lp I'm not sure. The seam goes up and over the lip on both sides. 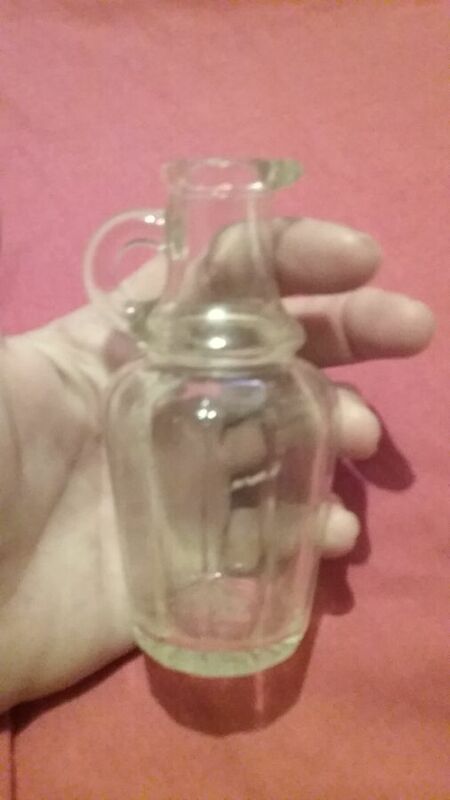 It is 4 - 5 inches tall. The body is octagon. Any information would be helpful. Thank you! 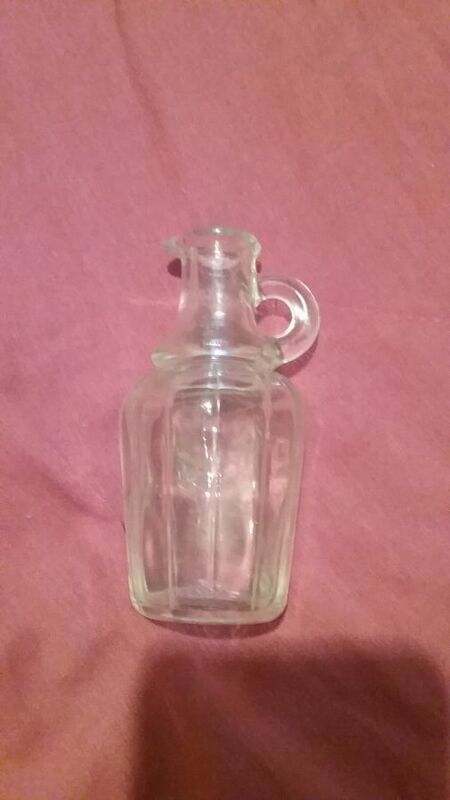 You have a little cruet bottle, probably for a vinegar product. It is 20th century....probably mid 20th century. 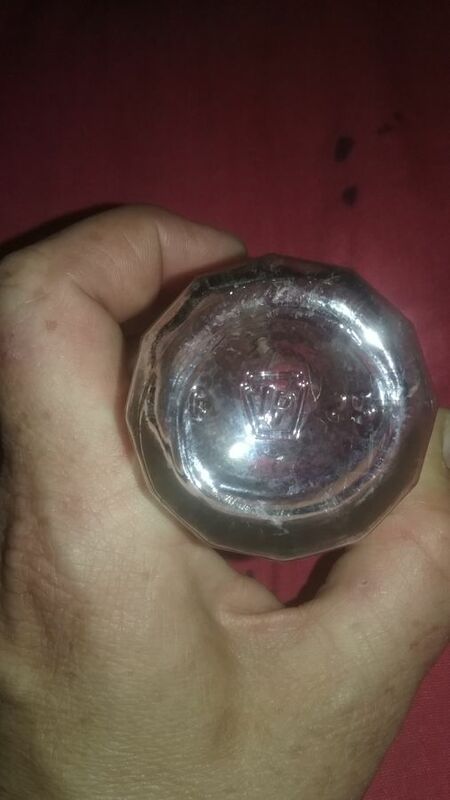 I could not make out the letters in the mark on the base? Those indicate where the bottle was made.